Personalised to perfection and made to take hits! Reliable protection for your device with a phone case. Your very own photo or design printed on the back and sides. With a silicone interior and a plastic exterior you can be assured of sublime protection. The telephone will stay damage free by absorbing shockes and preventing scratches. The two layers have added recesses voor the buttons and camera, so you wont have any troubles with the phonecase. In this way it can do what it's good at, protecting the iPhone 5C. Apart from this important feature, it has been made possible to have a nice picture or image printed on the case. Looking for a different type of case? Check out our extensive collection of personalised iPhone 5C cases! A photo, pre-made design or logo on the case. By using a user-friendly designplatform you can make a personal and unique picture in no time at all. This way you will always have your best design or image with you. The image can be edited by zooming in- or out, turning the image or adding a personalized text with different fronts and colors. With the help of a useful preview you can see the current result of your design. More information. 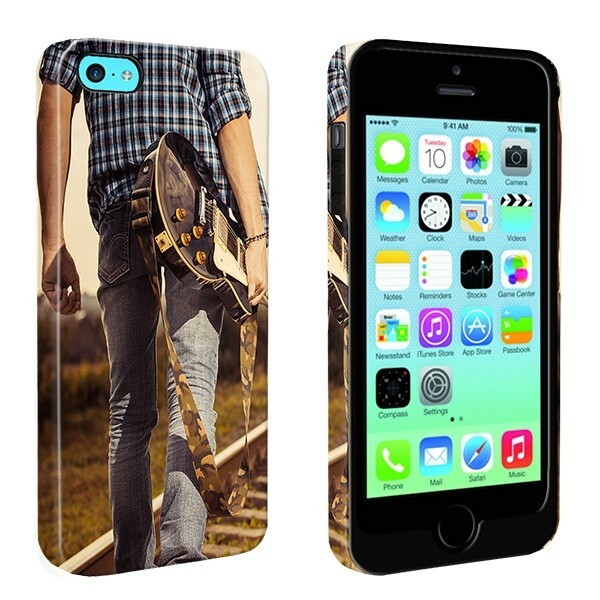 Within no time you can order your personally designed Tough Case. We have a large variety of payment methods for you to choose from. All methods are secure and safe to use. Delivery of your case usually takes between 5 - 7 working days. Get started now!